Do you want to drop few pounds by eating some yummy food? My husband has lost 10kg in one month with help of ketogenic diet. In this diet, you have to take good fats like butter, cheese, desi ghee. You must consume 20gm of carbs daily.The ketogenic diet (often termed keto) is a very low-carb, high-fat diet that shares many similarities with the Atkins and low-carb diets. Keto is really very good for your health. Studies show that low carb diets result in weight loss and improved health, blood sugar, and blood pressure. Keto is not for one or two months. it’s a healthy lifestyle which you have to maintain after achieving your desired weight. and yes you can have your cheat days. 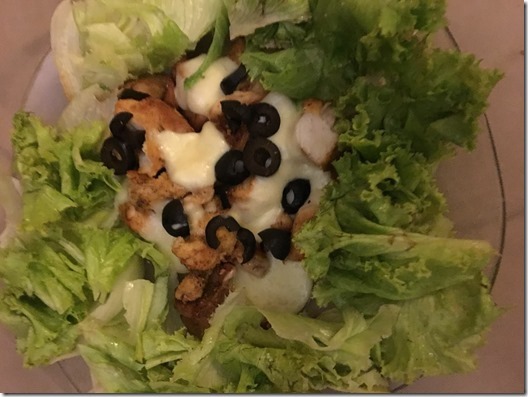 I am sharing some of my keto-friendly recipes which I make for my husband and he is really happy with the taste and he is not at all missing any carbs. Following is my own version of keto cheesy chicken. 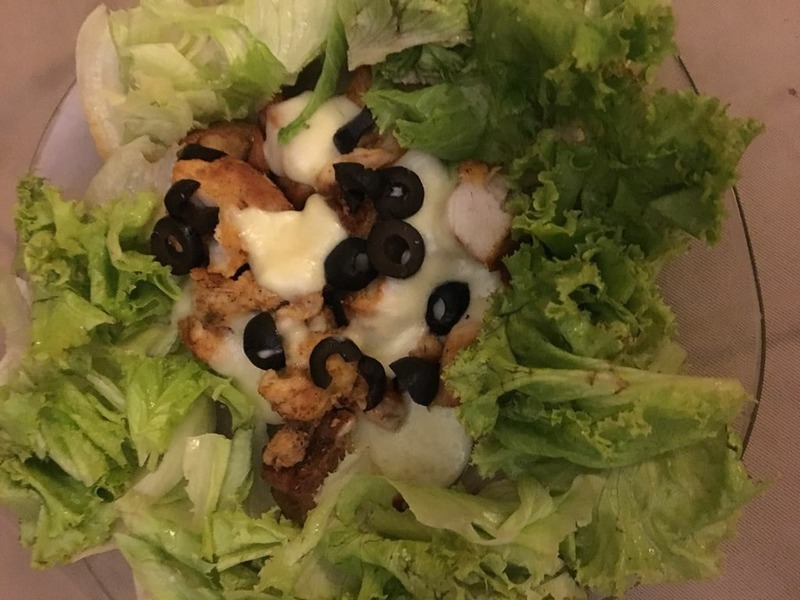 My kids also enjoyed this keto meal. It is dish keto dreams are made of. Marinate boneless chicken with salt, black pepper, minced garlic, lemon and red chilies. Leave this for one hour. Now in a pan take 1 tsp olive oil and fry this chicken. Add little water and cook it till chicken becomes tender. 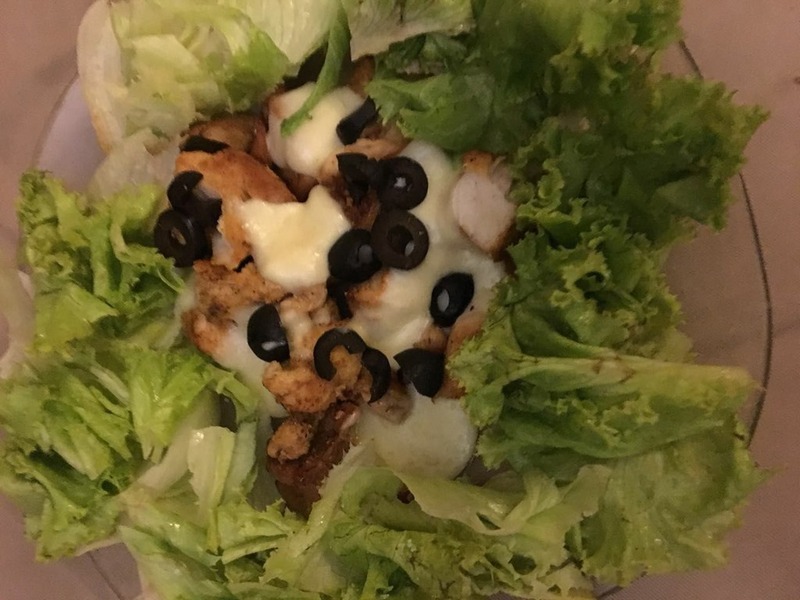 Take out chicken on a plate and spread both cheese and olives over it. Microwave it for one minute or until cheese melts. You can also bake this in the gas oven. Serve this with fresh iceberg green salad. Sounds yummy. Definitely will try this delicious recipe. New at this diet. Don’t have the ingredients but I will experiment. Thanks for sharing this recipe.